Avid Sport is delighted to announce a new partnership with the University of Bath Cycling Club. 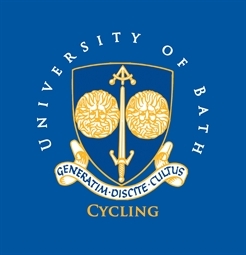 Over the last few years the University of Bath Cycling Club has established itself as one of the pre-eminent university cycling clubs in the country, with success on both a competitive and a participation level. The club took home three gold medals and two silvers at BUCS competitions last season, as well as being represented by top riders in regional road races and time trials. The club has grown in recent years and regular club rides can attract large number of riders from the Cake Ride upwards and it is this fun, relaxed atmosphere that breeds so much success for the club. With more and more riders taking part in rides with the club, it only helps to develop what the club has to offer and will continue to establish the champions of the future, be that in racing or the champions of the café stop! Avid Sport has worked closely with the club over the years and supports the organisation of the University of Bath Team Time Trial which incorporates the BUCS Championships and into 2017 we are preparing to host the BUCS Road Race as well. There is an exciting year ahead for the University of Bath Cycling Club and Avid Sport is delighted to be a part of that.